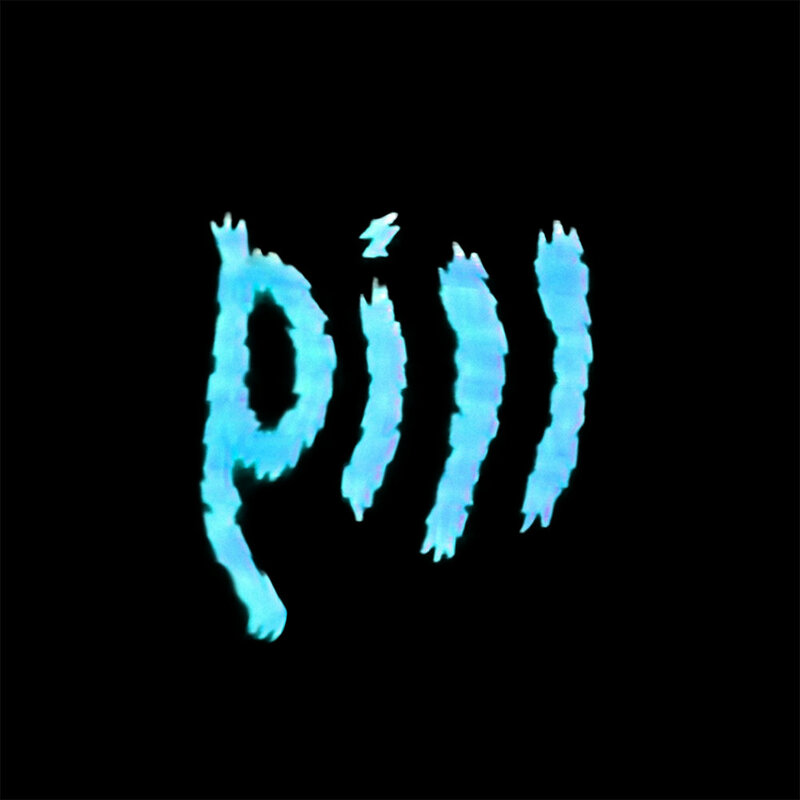 A deep but lean toned groove starts off Pill's self titled EP becoming more ominous with squiggling light guitars and a predatory saxophone. By the time Veronica Torres disaffected lyrics enter, the scene has already been set for "T.V. Wedding". The dynamic between Torres spoken word, relationship/creepy lyrics and the bands pulsing sense of dread make this tug of war in the post punk realm appealing. Ben Jaffe's rock sax makes the band unique in this day and age but the squanks which come to play on "Hotline" add more guitar screech mimicry then free-jazz freak-out. The band gets its noise on for "Personality" flaw lead by guitarist Jon Campolo's warbling otherworldly clangs or Jaffe's sax, it is hard to discern. What does come across is the bands willingness to go in lots of different layered directions, at times reminding of a toned down Rollins Band, a more condensed Kim Gordon led Sonic Youth or even a less song structured Pere Ubu. The energy of the group never goes above a mild head bob, and it would nice to see them go over the edge, but the textured sounds and experimental feel are both intriguing on Pill's first offering, a very positive sign for fans of adventurous rock and roll. Really intriguing NYC group getting lots of press right now.